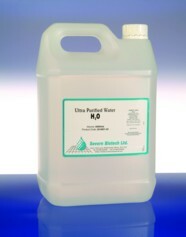 Lab Grade Water is a general laboratory grade water suitable for most laboratory purposes. 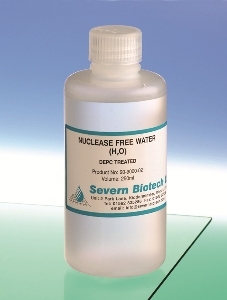 Purified by reverse osmosis (to <0.1micro-siemen conductivity, 18mega Ohms resistivity), this water is pre-filtered to remove silicates, organic materials and chlorine. 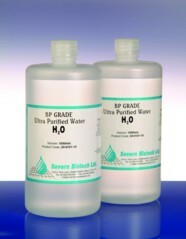 The reverse osmosis removes dissolved salts, leaving a very pure filtrate. 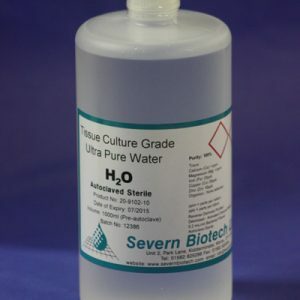 The purified water is then de-ionised several times and 0.2 micron filtered to produce a product of high purity suitable for lab use. *Note: This is not a sterile product.